The NMIMS MBA is aimed at transforming a student into a complete professional, having high standards of competence and ethics, thought leadership, a responsible team player with initiative who can contribute meaningfully to the economy and society. Applicants can choose their centres and slots for the Online NMAT 2011. MBA Actuarial Science- Bachelor`s Degree in Statistics / Mathematics / Engineering /Economics /Computer Science with minimum 50% marks in Aggregate in first attempt. Candidates with Professional Qualifications like A.C.A. (Institute of Chartered Accountants of India) & ICWA (Institute of Cost & Works Accountant of India) can also apply. Bachelor`s Degree in Pharmacy, Science, Life Sciences, Medical doctors MBBS, BDS, BSMS, BHMS, BAMS, BUMS, B.Sc and M.Sc in Biotechnology from a recognized University with minimum 50% marks in the aggregate in first attempt. Post Graduate degree in Economics, Psychology and Sociology can also apply. Following criteria is common for all programme. a) The candidate must hold a Bachelor’s Degree, with at least 50% marks or equivalent CGPA in aggregate from any of the Universities incorporated by an act of the central or state legislature in India or other educational institutions established under section 3 of UGC Act, 1956, or possess an equivalent qualification recognized by the Ministry of HRD, Government of India. b) The Bachelor’s Degree or equivalent qualification obtained by the candidate must entail a minimum of three years of education after completing higher secondary schooling (10+2) or equivalent. The percentage obtained by the candidate in the bachelor’s degree would be based on the practice followed by the university/institution from where the candidate has obtained the degree. c) In case of the candidates being awarded grades/CGPA instead of marks, the equivalence would be based on the equivalence certified by the university/institution from where they have obtained bachelor’s degree. 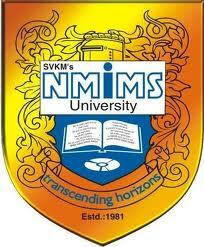 In case the university/institution does not have any scheme for converting CGPA into equivalent marks, the equivalence would be established by NMIMS by dividing obtained CGPA with the maximum possible CGPA and multiplying the resultant with 100.
d) Candidates appearing for the final year of bachelor’s degree/equivalent qualification examination and those who have completed degree requirement and are awaiting results can also apply. But their admission will be subject to their fulfilling the eligibility norms as mentioned above. NMIMS is implementing CBT with the intention to provide a valid and reliable examination process along with providing numerous benefits to candidates. NMAT is an objective type test designed and developed to ascertain tha aptitude of the candidates to undergo Post Graduate Programme in Management. Aptitude is the potential of an individual to perform subsequent to proper training. Therefore, NMAT is designed to identify the potential.